Some good news from us! CRESCENT INSTITUTE OF ENGINEERING is using our book as reference. INSTITUTE OF AERONAUTICAL ENGINEERING is using our book as reference. S.V. UNIVERSITY COLLEGE OF ENGINEERING is using our book as reference. Godavari Institute of Engineering and Technology is using our book as reference. Gitam university is using our book as reference. TEXTILE & ENGINEERING INSTITUTE is using our book as reference. Nadindas Khandwala College is using our book as reference. Loyola college is using our book as reference. UBBCLUJ, Romania is using our book as reference. RTU, Latvia is using our book as reference. UNIVERSITY OF MUMBAI is using our book as reference. ASU, Jordan is using our book as reference. UNIVERSITI TEKNOLOGI MARA is using our book as reference. Krantiguru Shyamji Krishna Verma Kachchh University, Bhuj is using our book as reference. G.Pullaiah College of Engineering and Technology is using our book as reference. FBE, Turkey is using our book as reference. Santa Clara University is using our book as reference. CBIT, Hyderabad is using our book as reference. Najran Community College, South Africa is using our book as reference. UAH, Spain university using our book as reference. St. Peters, Hyderabad engineering college using our book as reference. International Center for Applied Science at Manipal university using our book as reference. Gave a guest lecture on data structures and algorithms at Anjalai Bannari Amman Institute of Technology (Autonomous), Sathyamangalam - 638 401, Erode District,Tamil Nadu, India. Guest lecture at S P Jain School of Global Management for UG students. Gave a guest lecture at PSG Tech College of Technology. Released Algorithm Design Techniques book. Gave a guest lecture at PSG College of Technology. Guest lecture at S P Jain School of Global Management for PG students. Gave a guest lecture on data structures and algorithms at Anjalai Ammal - Mahalingam Engineering College Kovilvenni - 614403, Thiruvarur District. 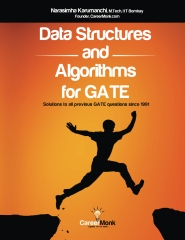 KLS Gogte Institute of Technology is using "Data Structures and Algorithms Made Easy" our book as reference. Got applointed as a visiting faculty at S P Jain School of Global Management. 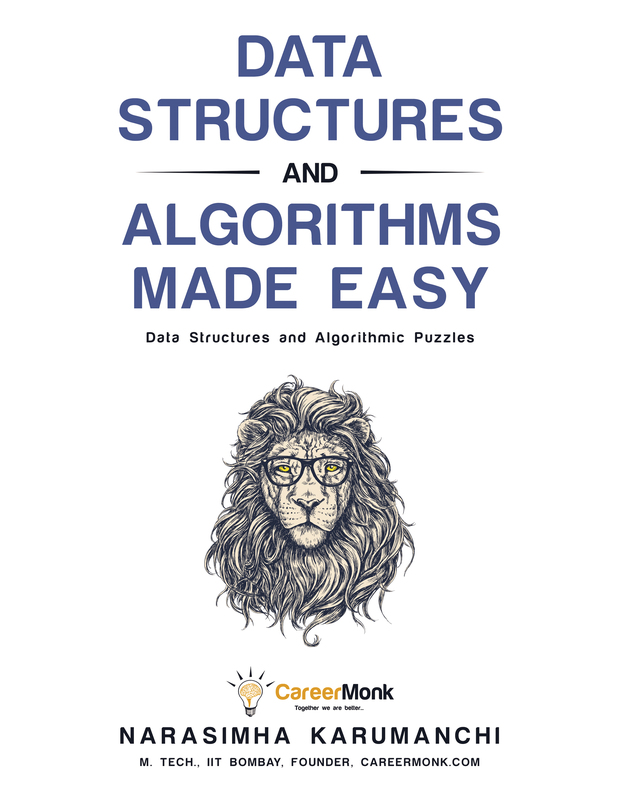 St. MARTIN.s ENGINERING COLLEGE is using "Data Structures and Algorithms Made Easy" our book as reference. 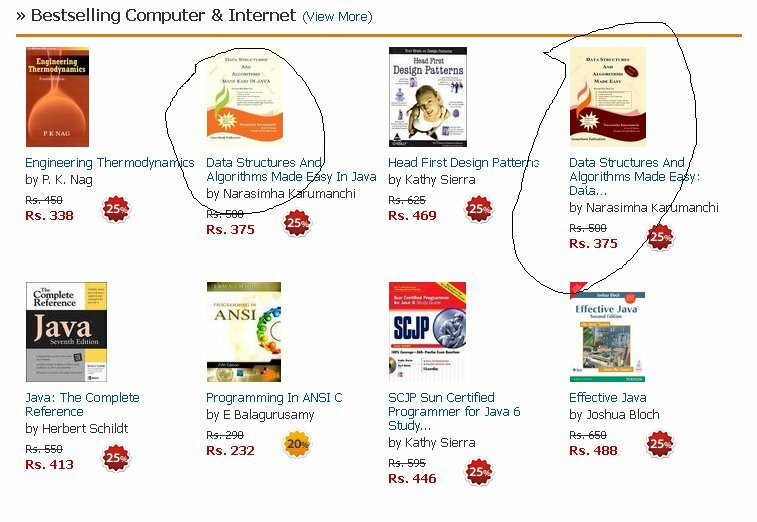 DHARMSINH DESAI UNIVERSITY is using "Data Structures and Algorithms Made Easy" our book as reference. 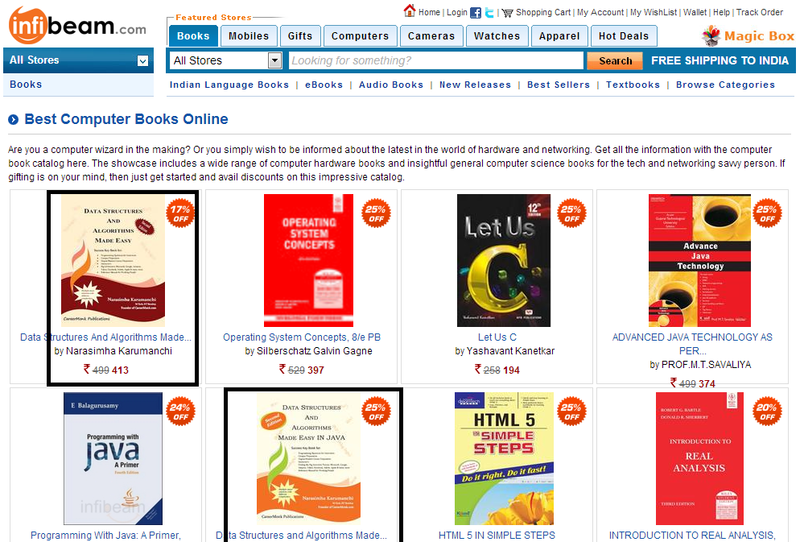 GITAM UNIVERSTIY, Bhuj is using "Data Structures and Algorithms Made Easy" our book as reference. Krantiguru Shyamji Krishna Verma Kachchh University, Bhuj is using "Data Structures and Algorithms Made Easy" our book as reference. 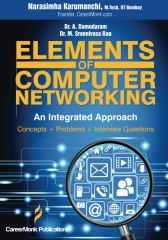 Guru Nanak Dev Engineering College, Ludhiana is using "Elements of Computer Networking" our book as reference. S.V. 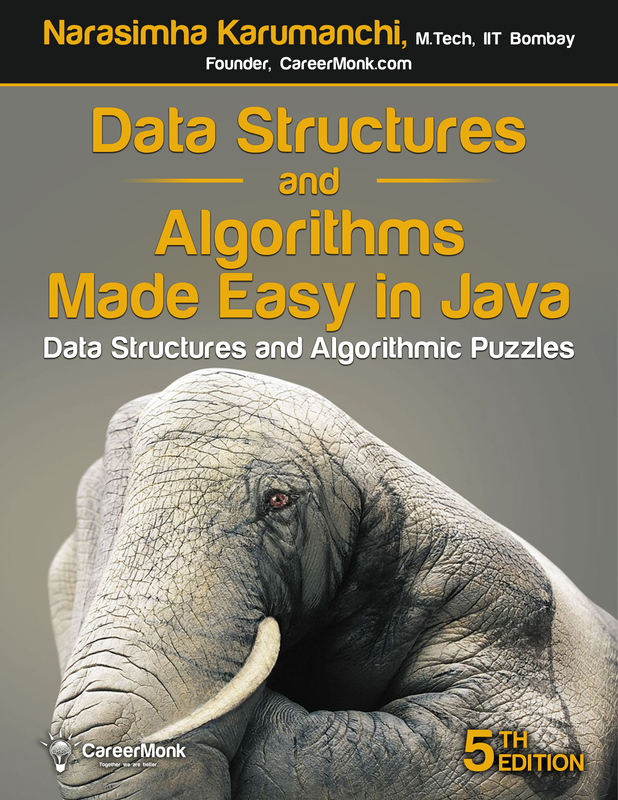 UNIVERSITY COLLEGE OF ENGINEERING is using "Data Structures and Algorithms Made Easy" our book as reference. 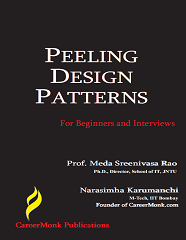 INSTITUTE OF AERONAUTICAL ENGINEERING is using "Peeling Design Patterns" our book as reference. Santa Clara University is using our "Data Structures and Algorithmic Thinking with Python" book as reference. Started YouTube channel for addressing the queries. Visited BVRIT, Narsapur, Hyderabad for a guest lecture [on 19-01-2016]. Visited BVRIT Womens College, Hyderabad for a guest lecture [on 15-02-2016]. Going to VVIT (VV Institute of Technology, Nambur, Guntur) on 2 and 3 Jan, 2016 for a guest lecture. Going to IIT Guwahati, Assam on Jan 16th, 2016 for the event Udgam (IITG Entrepreneurship Summit). NITK Placement Gyan 2015 with our books as reference. NITK Placement Gyan 2014 with our books as reference. Faculty of Management (FOM), Tribhuvan University, Nepal using our book as reference. 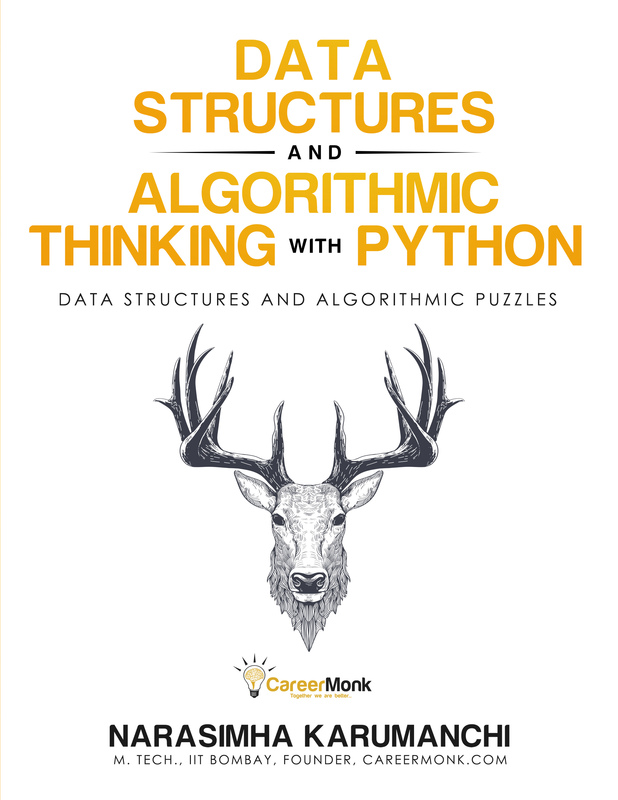 "Data Structure and Algorithmic Thinking with Python" available on Flipkart with pre-order. 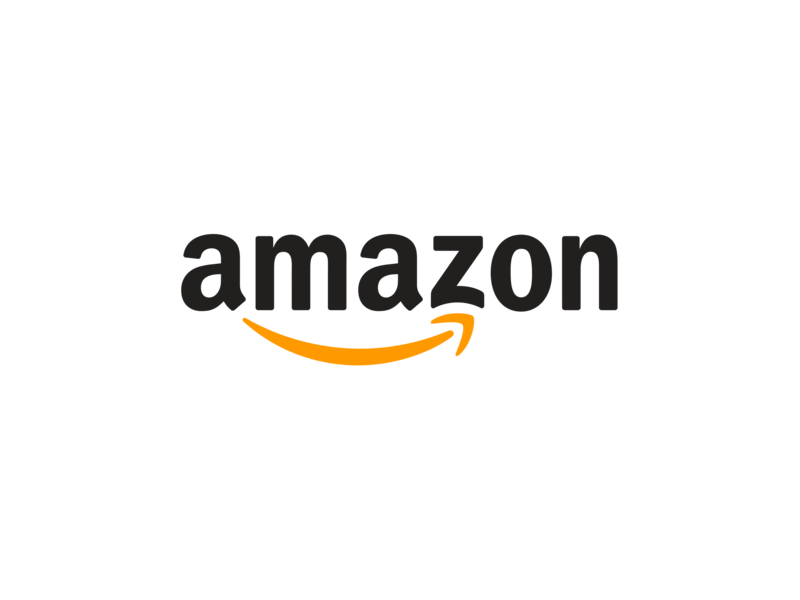 Released "Data Structure and Algorithmic Thinking with Python" USA and other countries except India. Visited NIT Trichy for a guest lecture. Visited RVR & JC for a guest lecture. NIELIT Aizawl used our book as reference. Going to "Sree Vidyanikethan, Tirupati" on 10, Sept.
Amrita Vishwa Vidyapeetham Ettimadai, Coimbatore used our networking book as reference. Pune University using our networking book as reference. Visited kgisl.com on July 18th, 2014 for a guest lecture. St. Xavier's College -Autonomous Mumbai is using our book as reference. Our disclosure "Defect Event Visualizer" got published by IP.com [Intellectual Property rights]. Published this through IBM ISL. IIT Bhubaneswar using our book as reference. George Mason University [Department of Applied Information Technology (AIT)] using our book as reference. Our books Chinese version got acquired by China Machine Press/Huazhang Co.. Translation in progress. 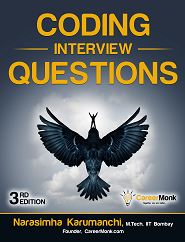 CareerMonk.com is owned and operated by CareerMonk Publications and it is a Hyderabad based start-up founded in September 2007. 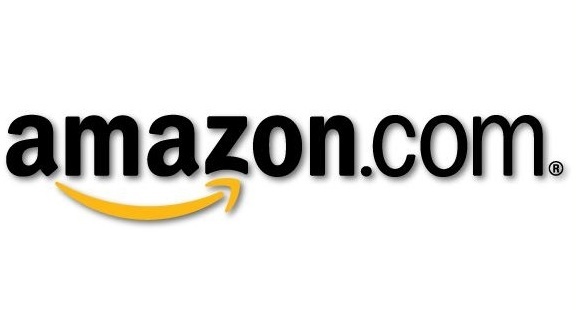 Narasimha Karumanchi was the Senior Software Developer at Amazon Corporation, India. 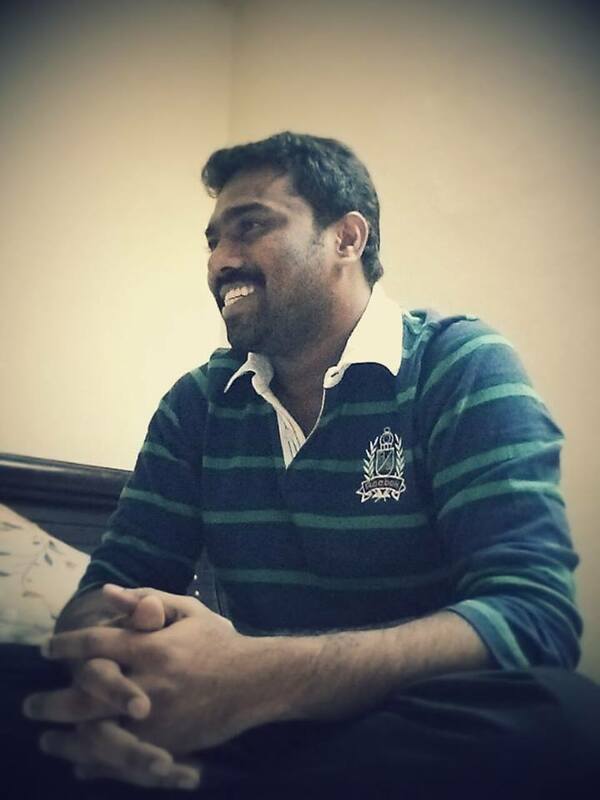 Most recently he worked for IBM Labs, Hyderabad and prior to that he served for Mentor Graphics and Microsoft, Hyderabad. He received his B-TECH. in Computer Science from JNT University and his M-Tech. in Computer Science from IIT Bombay. 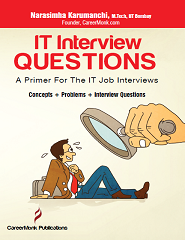 He has experience in teaching data structures and algorithms at various training centers and colleges. Prof. Meda Sreenivasa Rao is the current Director School of IT and also Professor of SIT Computer Science. He performs both his roles with ease. He is indeed a widely read and active person in the academic front. 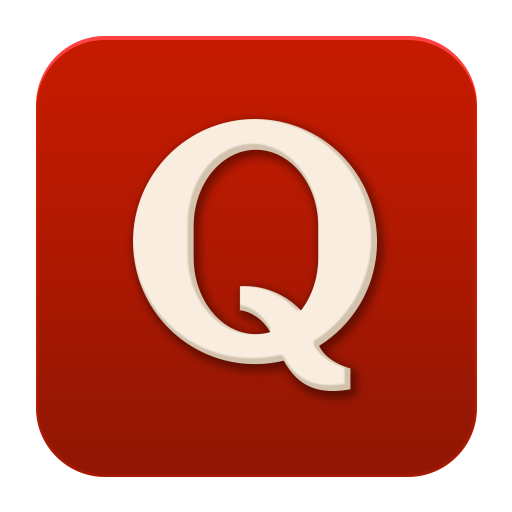 His articles and publications are published all over the world. 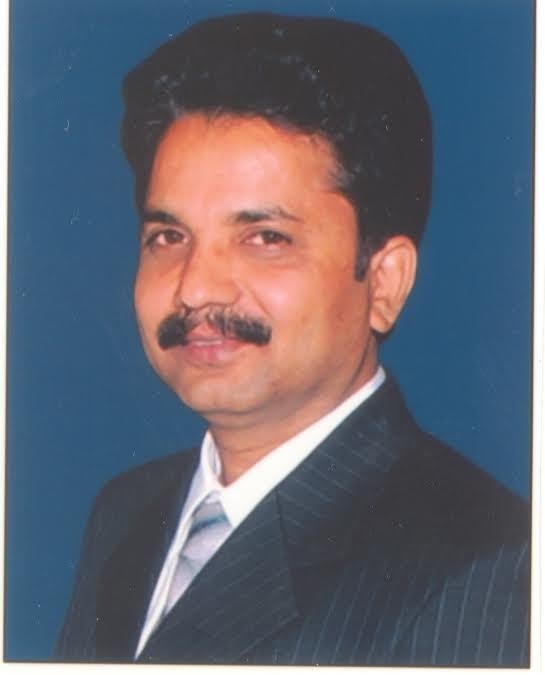 Dr. Avula Damodaram joined as faculty of Computer Science & Engineering at JNTU, Hyderabad in the year 1989. In 2 decades of dedicated service, Dr. Damodaram performed distinguished services to the University as a Professor, Head of the Department, Vice Principal, Director of UGC-Academic Staff College, Director, School of Continuing & Distance Education and presently Director, University Academic Audit Cell. Dr. Damodaram has successfully guided 12 Ph.D. and 2 MS Scholars apart from myriad M. Tech projects. He is currently guiding 9 scholars for Ph. D and 1 scholar for MS. Dr. Damodaram is on the editorial board of 2 International Journals and a number of course materials. He is also the Chairman, Board of Studies for Computer Science and Engineering and Information Technology. 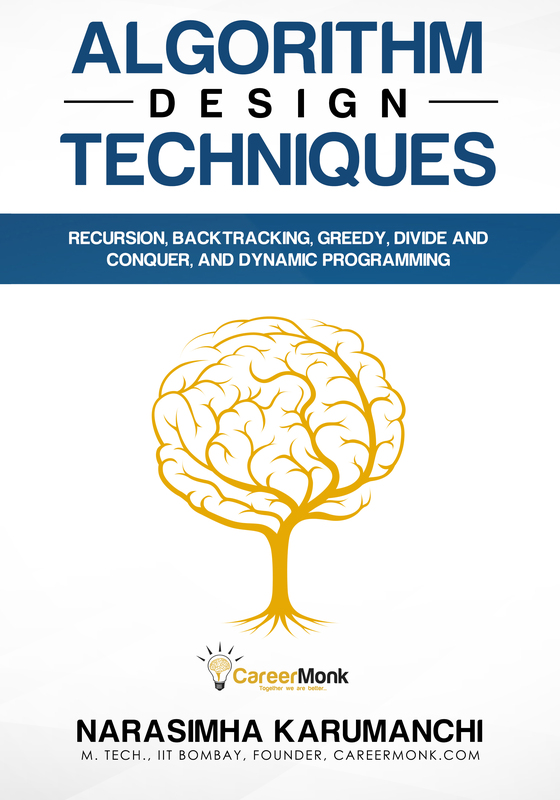 © 2007-2018 CareerMonk Publications. All rights reserved.